keka is a Modern HR and Payroll software for small and medium sized businesses that manage employee engagement, it has time tracking, attendance management, and leave management system. Work for Keka HR Payroll Software? Learning about Keka HR Payroll Software? "Must use HR software for every company"
Best thing about Keka is it keeps company's data safe and organized. We implemented Keka in our company few months back and it has solved most of our problems. The entire salary process including the taxes is automated and made online with the help of Keka Payroll Software. Also, it has privacy features which helps us decide which field should be visible to whom. Overall, Keka has made payroll process really easy and smooth. As such there is nothing to dislike about Keka payroll software. It fulfills all our Payroll needs. Keka Payroll software is highly recommended to every company for it's Payroll Process. Our previous Payroll system was really time taking and it was not even remotely usable. Implementation of Keka really helped us take the entire system online, remotely available and above all it got automatic. Further, Tax calculations have become easy and tax deductions are also made automatic with Keka's Payroll Software. "Amazing Payroll Solution for Large and Small Businesses"
I love the Ease of use and Different functionality provided by Keka, the Setup process is very easy for new bee as well. in addition, we can easily manage our time and manage our log, Can do an announcement to everyone or individually, easily we can manage tax calculation and deduction, re embracement. I can even store my personal documents in it. I used this for a little over a six months from now and There is nothing that I dislike about Keka. I have more time in my day to focus on the work as after Keka now I can easily check and count my working hours, also solved tax and re embracement related issue. and We can easily manage our work goals for the entire year. What Payroll solution do you use? "Best Software to Smooth HR Proccess"
The best thing is i can logged in from anywhere, as being in the marketing field, i have to visit clients frequently, so this is the best solution for me. Also, the salary details, salary slip is now easy to get from keka, no need to request the admin or hr department. As such there is nothing to dislike in Keka. As i said, it made my life easy in terms of monitoring salary slips, attendance, etc, nobody can dislike the keka. No paper work, no need to monitor attendance track, no need to explain salary cut of or leaves to employees verbally, even can check the investment in keka itself. These all are the benefits of having keka in business. Keka's HR Payroll Software is really a helpful software to every HR who belongs to a huge firm. It automates the entire salary process including the tax deductions. As such there is nothing that I dislike about Keka, but having technical knowledge about payroll and tax deduction makes it more easy to use Keka's Payroll Software. It is a must use software for every HR Department. Our previous Payroll system was accessible only in office premices and it also had long process that included manual calculations. But after implementing Keka Payroll Software the entire system got automatic as well as online. 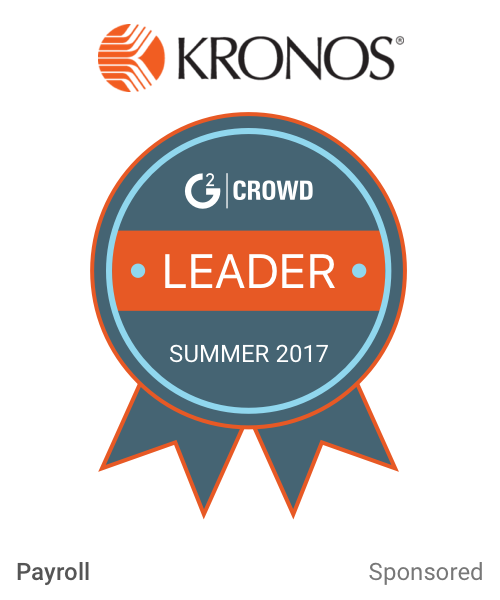 It has really helped us a lot to manage more than 100 employees salary process. 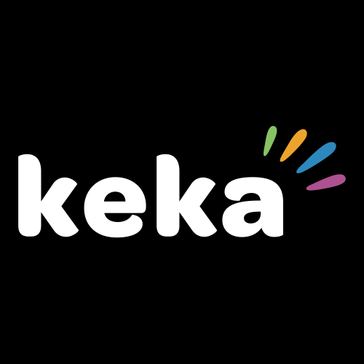 "KEKA - To Manage Your Daily Activities and Payroll"
I have tried many software before this Keka but this is something what we can say a perfect package with all the functionality. You can check your logs as an employee of any organization and you can also add your task list along with your payrolls. Sometimes, it takes time to load in mobile app. Also the payroll system I found is bit complex for a newbie. It was really very difficult before to count on my timings and working hours at work. Keka provides the perfect count for that also with the feature to adjust your logs, check your attendance, your work structure, badges and etc. It solves to problems we face while management. "Payroll & management system to ease your daily task "
When comes to say some good things about KEKA, I will say it is the biggest problem solver tool for you if you are facing trouble while managing your logs and salary income. It has the tree structure also to view and manage the top designation person to their juniors and subordinates. One should use this to save time and manage the work properly. Keka is one destination for the entire payroll system of any company. Keka Payroll is employee-centric and it solves all the HR problems and makes the payroll system automated. At some point, Keka's payroll system is a bit complicated for a newbie. Other than that there is nothing to dislike about Keka's Payroll software. Highly recommended for companies with a huge staff. Using Keka's Payroll software, I can manage my tax calculations, working hours and other HR activities. Further, it helps in salary management as well as Tax payment has become easy. It made our internal process very smooth and fast. I liked my team section very much..
At the beginning of using keka I was not comfortable with attendance adjust log process but now I when completely understood it, I am in love with the same. Earlier It was a very complex process to open the new user account, to make announcements for new hire and to give comp off leave. All these became smooth and transparent with keka. We are using Keka from the last 1+ year and we are content with the product. keka has smooth and easy to navigate UI. It has the best attendance management system which is integrated with payroll and timesheet software. Keka has helped us in automating our HR & Payroll. So, It saves our time. "easy to use in office for employee engagement"
Easy to set up new registration and add personal details with the document that we can verify. Easy to set up an announcement to all employers for the event. Automatic mail system for birthday and anniversary. Keke mobile app seems some problem of regularly updated, that make user irritate. give the suggestion that add proper version at one time. If your company have a good number of employee, then I prefer must use Keka HR Payroll Software. easy to count the working day of employee and auto-generate payout sleep, No need to calculate manually. "Best HR software for the startups"
I like the easy UI/UX of the Keka and it is crafted with the latest technology and changes can be made easily. The entire HR operation can be performed in the effective manner including taxes, salary slip, appraisal and many more other benefits. As such nothing is there, it fulfils all the requirement and ain't faced any bugs till now. It allows the company to manage all the details of the employees on single platform. The appraisal, taxes, salaries even the company goal can be managed and monitor from the Keka Software. Best Part of Keka is GUI and its functionality. Keka Mobile app is not much reliable for users. yes, I suggest to my other friends. Using Keka, employee engagement is much easier and reliable web version. * We monitor all Keka HR Payroll Software reviews to prevent fraudulent reviews and keep review quality high. We do not post reviews by company employees or direct competitors. Validated reviews require the user to submit a screenshot of the product containing their user ID, in order to verify a user is an actual user of the product. Hi there! Are you looking to implement a solution like Keka HR Payroll Software?